I've never shared Halloween posts here on the blog until this year and the only fathomable reason I can give you is that for the past four years during this time I've been neck-deep in school work. Because let me tell you, I really really love Halloween (small confession: I trick-or-treated right up until I was 17). Not only is Halloween just spooktactular in itself, it always marks the beginning of the holiday season and the time to start getting crafty! 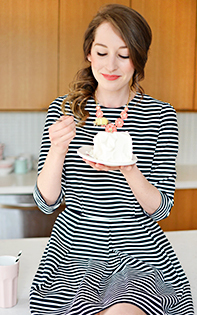 I rounded up some of my favourite Halloween DIYs swirling around the web that I wish I had time to do this year (I think I'll try to sneak in just one). 1. 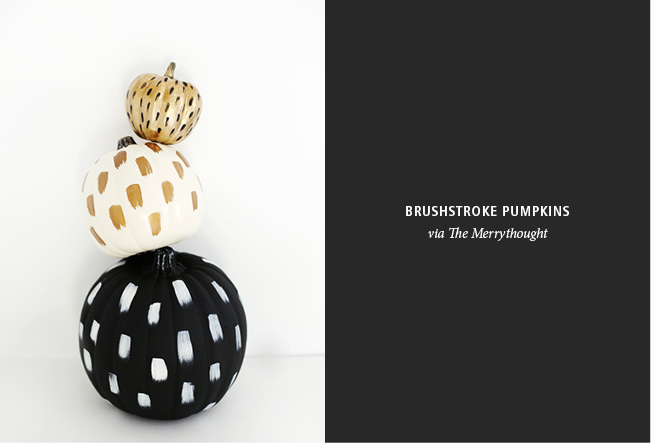 Brushstroke Pumpkins via The Merrythought | 2. Spooky Stencil Pumpkins via Sugar & Cloth | 3. Mummy Treat Bags via Sugar & Bash for Lark & Linen | 4. Cobweb Cupcakes via Donna Hay | 5. Chocolate Spiders via She Wears Many Hats | 6. Mud Cloth Pumpkins via Homey Oh My!